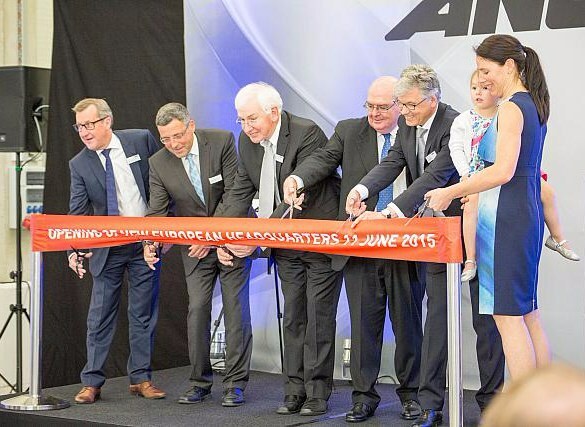 ANCA key personnel cutting the ribbon at the launch of the company's new European headquarters in Weinheim, Germany on June 11. ANCA invested over 4 million euros in the new state-of-the-art facility. 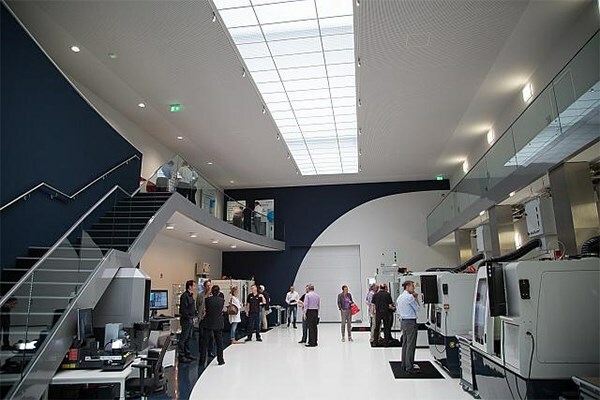 Computer numerical control (CNC) machinery specialist ANCA has cut the ribbon on its new state-of-the-art European headquarters in Weinheim, Germany on June 11. ANCA invested over €4 million (AUD 5.9 million) in the new facility which is situated close to the company’s previous headquarters in Mannheim. "The expansion was necessary in order to keep up with our growth and to ensure we continue to perfect our service and spare part offerings in Europe," says ANCA Europe general manager Jan Langfelder. Australian Ambassador to Germany David Ritchie, Weinheim deputy mayor Dr Torsten Fetzner, ANCA co-founder Pat Boland and CEO Grant Anderson were among the attendees at the glittering launch event. Boland says ANCA’s philosophy is to push in two different directions, one being engineering excellence; with 25 PhDs working in its R&D centre in close cooperation with universities around the world; and the other being practical trade skills. "Machine tools have to be built ruggedly, they have to be reliable and easy to use for the tradespeople around the world that operate them," he says. "I think that push from an academic sense and a trade sense has been one of our important cultural features." At the launch event, guests were given tours of the demonstration room, comprehensive spare parts store and service area. ANCA was founded in 1974 in Melbourne, Australia by Pat McCluskey and Pat Boland and has evolved into a global enterprise with offices set up in different parts of the world including Germany, UK, Brazil, US, Japan, China and Taiwan.